It is the time of year when there are hundreds of festivals to attend in the UK and it is becoming more common for children to attend with their parents. 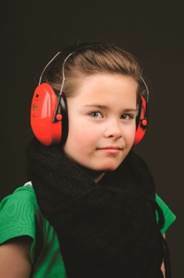 Peltor Kid Ear Defenders by 3M are at hand to keep your kids hearing tip top, they have been specifically designed for young wearers, protecting them against hazardous sounds and dangerous noise levels. 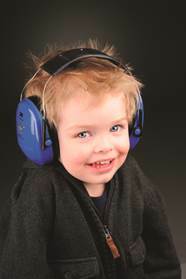 These trendy ear defenders have recently been released in two stylish new designs, the Little Prince and Little Princess. £1 from every sale is being donated to the charity, Action on Hearing Loss. All money raised from these unique ear defenders will go towards research and supporting communities offering support and advice to the millions of people affected by hearing loss. These clever ear muffs aren't just great for the Summer festival season, oh no, noise is all around us. Just think how handy they would be when bonfire night comes around. Now if you fancy getting your hands on a pair for your kids you can purchase a pair here or here. However you are in luck, if you don't have those pennies spare right now, I know the Summer holidays are expensive, I have a pair to give away to one luck reader. Simply fill in the rafflecopter form below. The competition is open to UK residents only and will run until 11.59pm on the 21st of August 2014. All entries will be checked and verified to make sure you enter correctly!! My youngest daughter as she has sensitive ears! My niece for when they go to music festivals. Me, as I do find some noise uncomfortable or a nuisance. I have chronic pain, so Peace and Quiet can be beneficial in relaxing and thus easing pain. As loud noises can startle and cause tense muscles etc. I would also consider them for my Mum, as though she is deaf :- She finds her hearing aid amplifies background noise, which she finds can be a nuisance. She is small made so a child's size is likely to fit her. She could use them when neighbours are having building work done, mowing lawns etc. I believe my nephew would also love these, as he does find that he can be disturbed by others within his home whom he finds have loud voices etc. It would allow him to concentrate on his studies etc. I would use them to block out the snores of him indoors when he falls asleep on the sofa. I'd give them to my sister-in-law as she's always going to festivals with her kids. If I win, S will wear the ear defenders! My nephew,he doesn't like loud noises. My nephew, he doesn't like loud noises such as fireworks so these would be great. One of my five grandchildren. I would be planning to use these with my little boy - he's nearly 5 and we're hoping to go to a big event later this year. I'm looking forward to enjoying the loud music, but have been considering a pair of these for a while. My 11 year old son. I think my 4 kids will have to share them! My toddler boy as were about to do a renovation project and its likely to get noisy! My little boy who has sensory issues.